Bangladesh is by no means a high emitter of carbon, but it is nevertheless one of the countries most critically affected. There is a significant risk of damage to lives and livelihoods due to climate change in the form of cyclones, flooding and storm surges, and slow-onset impacts such as droughts, sea level rises and river basin erosion. Moreover, Bangladeshis are especially vulnerable as a high proportion of people live in extreme poverty. 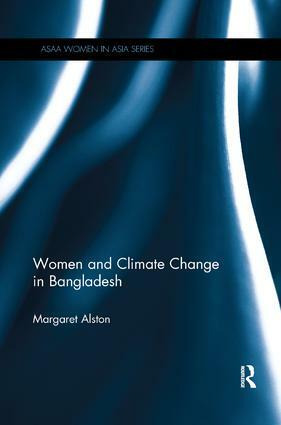 This book assesses the impact of climate change in Bangladesh, and presents the findings of a three-year, in-depth study undertaken at village level in different districts of the country. It examines national policies, contrasting them with what is actually happening at village level. It outlines the impact of climate change on livelihood strategies and health, and focuses particularly on the impact on gender relations, showing that although women have a significant role to play in helping communities cope with the effects of climate change, cultural customs and practices often work against this. The book argues for, and puts forward policy proposals for, recognising women’s active contribution and supporting gender equality as a critical strategy in global adaptation to climate challenges.